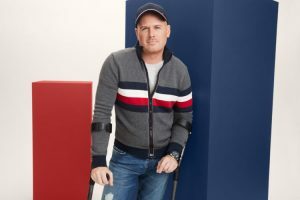 Tommy Hilfiger Launches Adaptive Clothing Line! Every week we like to share our favourite positive news stories ➕ from around the world 🌎 and this one about Tommy Hilfiger’s new collection caught our eye 👁. The fashion designer’s new clothing line is called Tommy Adaptive and has been specifically made for people with disabilities for whom the daily task of getting dressed 👗 in the morning can be one of frustration when the navigating buttons 👕 and zips 👖 just isn’t that simple 🤷. Tommy Adaptive features 37 new styles for men 👨 and 34 for women 👩 and includes jackets, trousers, shirts 👔 and skirts 👗 with one-handed zippers, magnetic clasps, adjustable hems and Velcro straps. The idea was conceived after the fashion house teamed up with charity Runway of Dreams 🌛, a charity which promotes the differently-abled community in the fashion industry, to create an adaptive clothing range for children 👶. It was received so well that Hilfiger followed it up with the adult line 👩. Love Hearts Get an Emoji Update!